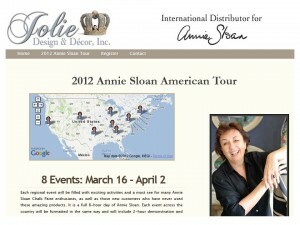 I’m Going To Meet Annie Sloan in Boston! I’m Going To Meet Annie Sloan in Boston! Well, actually I will be a working bee to the Queen herself, and I would walk barefoot to Boston to have this honor! This event on April 2nd will be filled with exciting activities and a must see for many Annie Sloan Chalk Paint enthusiasts, as well as those new customers who have never used these amazing products. It is a full 8-hour day of Annie Sloan. Annie is hosting 7 other workshops across the USA, but each event will be formatted the same way and will include 2-hour demonstration and history given by Annie Sloan, 4-hour hands on workshop covering Annie’s range of techniques, and a book signing/ social hour to conclude the day. 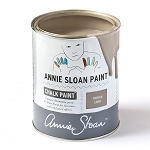 There will be plenty of opportunities to meet Annie Sloan, your local Stockist (such as myself…The Purple Painted Lady), and others passionate about the range, versatility, and ease of use of this incredible Chalk Paint and Soft Wax. 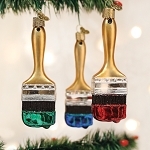 The Annie Sloan products have certainly changed the way Americans and Canadians think of painting furniture since its introduction in the States mid-2010. Click on the photo below to launch the registration site! 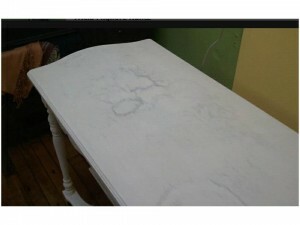 My herRochester (Democrat & Chronicle) Blog- What To Do About Water Stains or Wood Grain Bleeding Through Paint? Click on the image below and it will link to the herRochester blog!